There are more of these mods out there, but for my version I took the average European interest rates from http://www.ecb.europa.eu. I also changed the amount and length to be more realistic. Off course your old loans will still be active untill you payed off your debts. 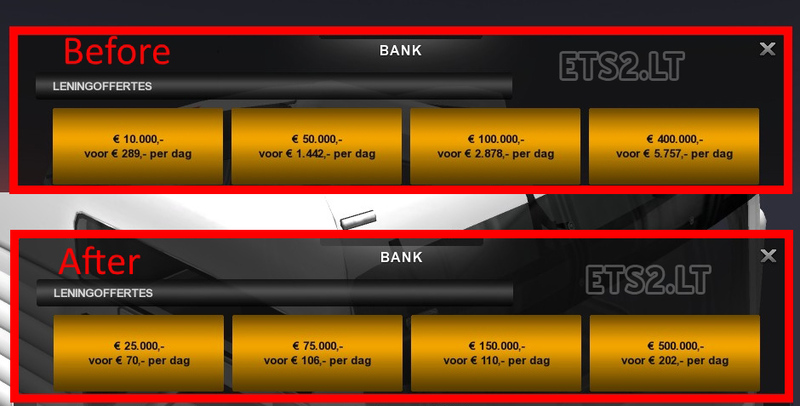 But you can activate this mod in the meanwhile, take a higher loan and pay off your (old) debts.